Join us on this thirteen day, life-changing experience through Cambodia and Vietnam. From the magnificent and historic temples of Angkor through to the magical and colorful old town of Hoi An. 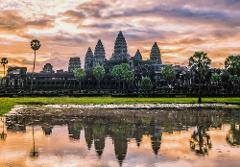 Join us on this seven day, life-changing experience through charming Cambodia. From the magnificent and historic temples of Angkor through to the bustling capital of Phnom Penh, this journey will take you on a rollercoaster. Join us on this ten day, life-changing experience through colourful Jaipur, historical Agra and chaotically captivating Delhi. 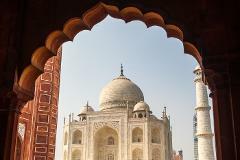 India’s Golden Triangle has never been such a magical, mystical and intriguing experience. Join us on this five-day tour through the tropical climates and white sands of Fiji. With bures by the beach, private island day trips and the chance to positively impact those affected by cyclone damage, this is the perfect long weekend. Famous for being where the reef meets the rainforest, this Cairns and Port Douglas long weekend combines some of the most incredible natural wonders in Australia with an immersive Indigenous experience. Join this eight-day tour through the colourful and chic Baja California peninsula, departing from San Diego. Experience luxury food feasts, wine tasting in vineyards, hidden towns, inspiring and empowering community projects. Join us on this short but sweet private tour in Siem Reap. From the magnificent and historic temples of Angkor to giving back to local communities through our empowering project, this is the perfect introduction to Cambodia. Join us on this eleven day, life-changing experience through Cambodia and Vietnam. From the magnificent and historic temples of Angkor through to the magical and colorful old town of Hoi An. Join us on this nine day, life-changing experience through Cambodia and Vietnam. 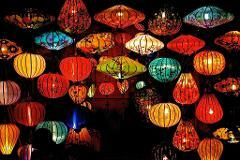 From the magnificent and historic temples of Angkor through to the magical and colorful old town of Hoi An. Join us on this nine day, life-changing experience through Cambodia and Vietnam. From the magnificent and historic temples of Angkor through to the hectic streets of Ho Chi Minh. Join us on this incredible experience through Cambodia and Vietnam. From the tragic history and welcoming local village of Phnom Penh through to the hidden beauty of Chau Doc's lush green countryside. Join us on this private tour in the bustling capital of Phnom Penh, a journey where will ride an emotional rollercoaster. 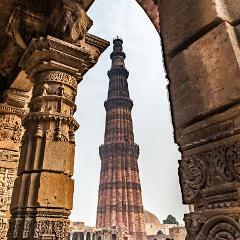 Enjoy this short, four-day tour of Delhi which shows you the famous city highlights while also taking you beyond the photo opportunities. Our Empowerment Tourism projects are focused around education and women empowerment. Join us on this 6 days, life-changing experience through chaotically captivating Jaipur and Agra. Enjoy this eight-day tour which takes you from the busy streets of Delhi, with its incredible architecture to explore, down to the relaxing backwaters of Kerala in the South. 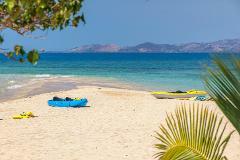 Join us on this one week tour through the tropical climates and white sands of Fiji. 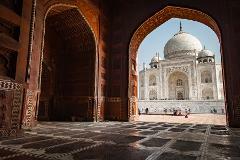 Enjoy this six-day tour from Delhi to Agra, taking you through some of the most famous sights in the country: The Taj Mahal, Fatehpur Sikri and the Akshardham temple. Enjoy this one week tour taking in the iconic sights of Delhi, a powerful and impactful empowerment tourism project, and the chance to witness the hidden gems of Punjab, a lesser explored region. Join us on this 4 days, life-changing experience Jaipur. Enjoy this one week tour which takes you from the bustling streets of Delhi to the relaxed vibes of Rishikesh.